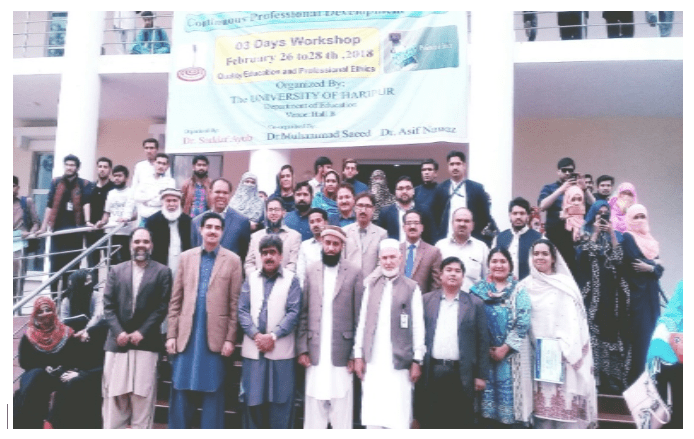 Three Days workshop on Quality Education and Professional Ethics was organized by Department of Education under Continuous Professional Development (CPD) program of Higher Education Commission, Islamabad. It was held from 26th February to 28th ,2018. Dr.Saddaf Ayub was focal person of the workshop whereas Dr.Muhammad Saeed Khan & Dr. Asaf Nawaz Satti were co-organizers. Professor Dr. Samina Malik ,Dean Social Sciences, International Islamic University, Islamabad. Dr. Aamna Saleem khan, Assistant Professor, National University of Science & Technology, Islamabad. 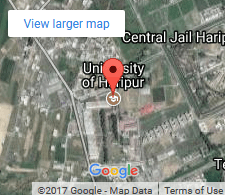 Professor Dr. Allah Rakha Saghir, Allama Iqbal Open University. Islamabad. Chief Guest Mr. Fida Hussain, Director General Learning Innovation Division Higher Education Commission, Islamabad.